East Africa’s Largest Solar Plant Starts Operations – Kenyatta University TV (KUTV). All Rights Reserved. Honorable D’Ujanga Simon, Minister of State for Energy, together with representatives of Access Power , EREN RE and donors yesterday celebrated the inauguration of the solar power plant in Soroti. The project was developed under the Global Energy Transfer Feed in Tariff (“GET FiT”) (www.GetFiT-Uganda.org), a dedicated support scheme for renewable energy projects managed by Germany’s KfW Development Bank in partnership with Uganda’s Electricity Regulatory Agency (ERA) and funded by the governments of Norway, Germany, the United Kingdom and the European Union. The GET FiT programme helps renewable energy sources become more affordable and therefore more accessible in Eastern Africa. The project is financed by a mix of debt and equity with the senior debt facility being provided by FMO , the Netherlands Development Bank, and the Emerging Africa Infrastructure Fund (EAIF). “As an outward-looking nation, the UK fully supports Uganda in its effort to become a middle income country, with bilateral support of £110m this year. Power is an important enabler of development. GET FiT has helped to demonstrate the success of private sector led renewable energy projects; reducing costs to the government and increasing supply to help the people of Uganda to improve livelihoods and economic empowerment, especially for women and girls, so they can stand on their own two feet,” Jennie Barugh, Head DFID Uganda on the impact of GET FiT. 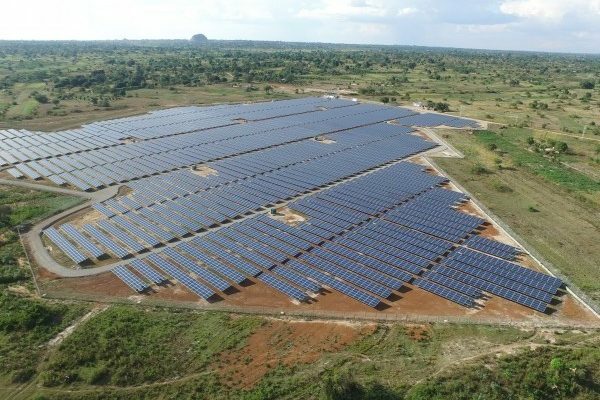 Located on a 33 acre plot of land in Soroti District, the power plant has the potential to increase its net output capacity by a further 20MW of solar energy. At peak construction the plant had over 120 local workers involved, including engineers recruited and trained by Access Power and EREN RE.